Rare and stunning lakefront Ranch home in desirable Seven Lakes community! Contemporary craftsman-inspired, boasting incredible attention to detail & meticulously maintained. Enjoy breathtaking unobstructed lakefront views of Heinricy Lake from Owners Suite Retreat, Kitchen & Great Room! Fully customized Chefs kitchen w/ sleek cabinets, Butlers service area & display shelving, walk-in pantry, granite slab, table nook & curved eat-in island. Electric cook top has a gas stub-out for future upgrade. Foyer w/ gleaming hardwood floors that extend throughout most of the main level. 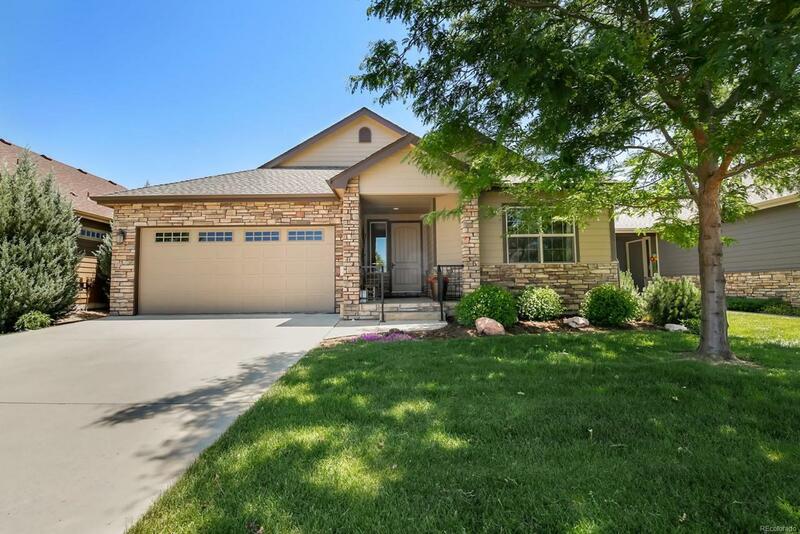 15 cathedral ceiling covered patio w/ stained stamped concrete flooring & additional patio! Wood trim/detail throughout & whole house built-in speakers/surround sound. Fantastic entertaining space in full blueprint, 1900+ sq ft finished basement. Ample family room w/ wet bar & fireplace. Two guest bedrooms w/ walk-in closets & custom bath. Tray ceilings & skylights. ADA compliant entry in 2nd bedroom & bath.